1 teaspoon sea (or kosher) salt. 1/4 cup chunky peanut butter. Sauté the onion and garlic in the canola oil. 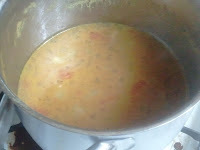 Add the chicken stock, sweet potato, potato, diced tomatoes, spices and peanut butter. (This is where it exploded on me. The consistency didn't look right and I knew my kids would not eat sweet potatoes looking the way they did. 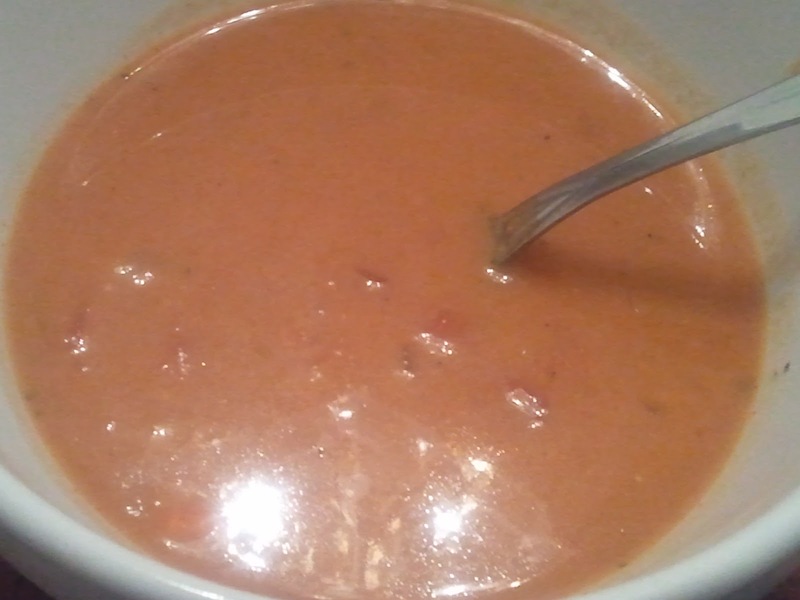 )Take 1/3 to 1/2 of the soup and blend in a blender. May also work if you have a potato masher to mash the potatoes and give the soup a thicker consistency. Mix with remaining soup. Serve with whole wheat rolls and a salad. Serves 3 as is. I added 2 extra cups of water to make enough for my family of 4 and have enough for lunch leftovers. Even with wasting about 3 cups due to blender failure, there was still plenty and it's very filling. Blending it creates a thicker consistency. Start using Mint.com to manage your money today!